The Bullmastiff is an energetic dog breed which is wonderful to be around. These are family oriented dogs and have amazing potential to guard its owner. The cross Bullmastiff dog is expected to have the eminent characteristics of Bullmastiff dog. Breeding of two same dog breeds never produces a hybrid. It takes two different breeds to produce a hybrid. 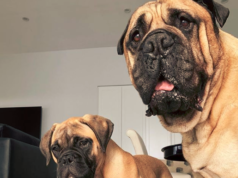 Let’s explore about what is Cross Bullmastiff, how many Bullmastiff cross breeds exist, what are famous Bullmastiff Cross Breeds, and what cross Bullmastiff breeds are recommended. Bullmastiff dogs are loyal and devoted dog. They are excellent guardian dogs and leave no stone unturned to save their master from the enemies. When the Bullmastiff dog breeds with the other dog breeds then a hybrid is produced. It is known as a Cross Bullmastiff dog. The traits of the hybrid dog are much more similar to their ancestors. While sometimes, they depict their own traits much more strongly. How Many Bullmastiff Cross Breeds Exists? There are enormous Bullmastiff cross exists which are highly popular. These are liked because of their peculiar characteristics. These are about more than 10 in number. In addition to this, the number of Bullmastiff Cross Breeds is increasing by the mating of various other dog breeds with the Bullmastiff dog. The two brave dogs are crossed in order to produce hybrid dog having optimum bravery. The basic purpose of the crossbreed is to produce a hybrid of desired traits. What are Famous Bullmastiff Cross Breeds? 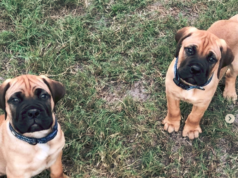 The famous Bullmastiff crossbreeds are Bullmasador, Bully Bordeaux, Pit Bullmastiff, Doubull-Mastiff, Clumberstiff, Golden Bullmastiff Retriever, Neo Bullmastiff dog. In addition to this, Staffy Bull Bullmastiff, Bull Danif and Bull Mastweiler. The crossing of Clumber Spaniel and Bullmastiff dog produce Bullmastiff mix namely, Clumberstiff. Bully Bordeaux is the cross of Dogue de Bordeaux and the Bullmastiff dog. 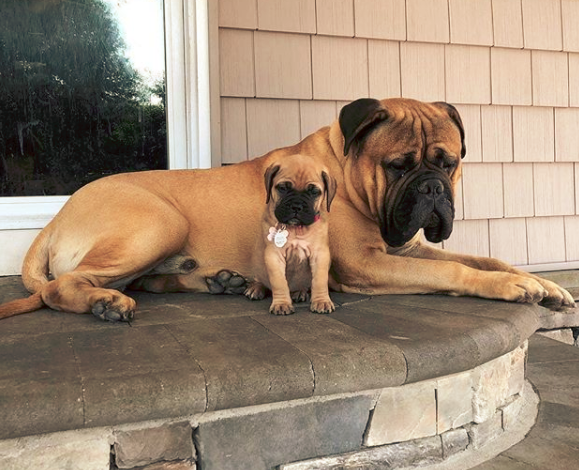 The crossing of Bullmastiff dog with the powerful dog breed, American Pit Bull Terrier, leads to the formation of a breed mix named, Pit Bullmastiff dog. Bullsky Mastiff is the Cross Bullmastiff dog which is produced from the mating of Siberian Husky dog with the Bullmastiff dog. When Mastiff dog and Bullmastiff dog are crossed a hybrid is produced. It is known are the Doubull-Mastiff dog. Bullmassador is the hybrid dog which was originated by the crossing of Labrador Retriever and Bullmastiff dog. What Cross Bullmastiff Breeds are Recommended? 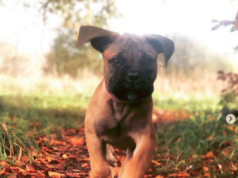 When it comes to the Cross Bullmastiff breeds then the most recommended are those which depict to have the maximum traits of Bullmastiff dog. The Bullmastiff is itself a hybrid bred which was originated in Great Britain. 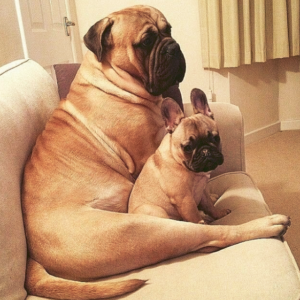 The crossing of the Mastiff dog and Bulldog lead to the origin of the Bullmastiff dog. Golden Bullmastiff retriever, Staffy Bull Bullmastiff, and Pit Bullmastiff breeds are the most recommended ones. It is because they are amazing to deal with. There are various other Bullmastiff mix breeds which would please you. The world of pets is immensely huge. Read on to know about many incredible dogs such as White Bullmastiff Dog!